‘Kinshofer not only stands for quality but also for innovation’ says Thomas Friedrich, Global CEO of the Kinshofer Group, setting the tone for Bauma 2019. With over 100 Innovations on display at the 1,485 m² booth, Kinshofer’s creative power and size is clearly evident. We caught up with Thomas earlier this month to get an insight into some of the Group’s new products, core values and plans for future growth. Q: The Kinshofer Group has a new spot at Bauma. What’s new on the stand? TF: Our engineers have developed such a wide array of new products across so may sectors, we decided not to show our whole range of attachment products as we did at Bauma 2016, instead focusing solely on showcasing innovations, redevelopments and new versions of attachments. Q: Will choosing to show only innovations limit your overall product offer at Bauma? TF: Quite the opposite – we have more than 3000 active products, way too many to talk about all of them. By focusing on the innovations made since the last Bauma, we’re showing how hard we, and our subsidiary companies, have worked to make the last few years such a success. Q: Kinshofer makes such a big effort to attend Bauma. Is it worth the all the investment? TF: Every three years Bauma gives you the opportunity to present the business to an international audience. It is not so much about making orders, more about developing new international partnerships. This year Kinshofer has so many new developments that we’ve completely concentrated on showing our innovative power. We aim to demonstrate that concerning attachments, there is always room for fresh thinking. Together with our customers we constantly work on new ideas and products and are very proud to present the results at Bauma. Effectively, we’re a global ‘one-stop supplier’, offering a complete range of products for every part of the construction industry. 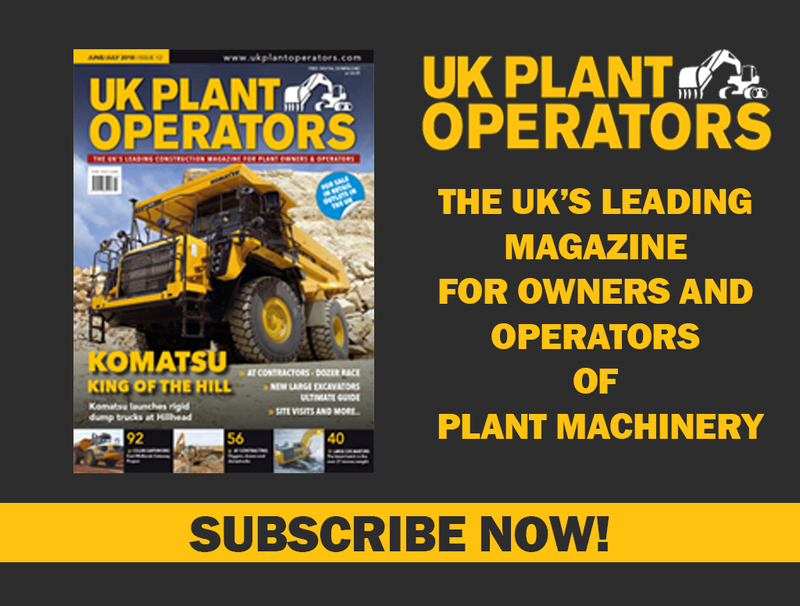 From construction to landscaping, handling of materials and demolition, rail and utilities, to the recycling and waste industry – throughout worldwide markets. Q: Is there one highlight from the 128 innovations on display at Bauma that stands out for you? 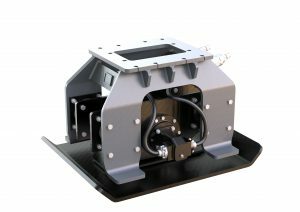 Highly interesting are the Tiltrotators – we’re showing a completely new control system for NOX Tiltrotators at Bauma. Partial automation is a very important point which leads to significant benefits for our customers. We’ll also be showing two completely new sizes within the NOX range. There will also be new HPX products with their proven benefits, for example, low maintainence and constant closing force. We step into new markets with two new HPX Demolition and Sorting Grabs for excavators betwen 27t and 37t operating weight. Q: Where are the new products designed and produced? 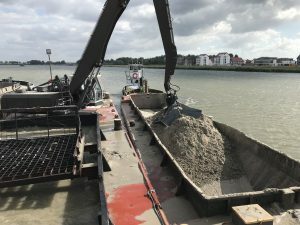 TF: Together with our 14 strong design development department, the ‘specials’ department and the production department at our Waakirchen HQ, all aquired subsidiaries and their employees are involved in the development and production of our attachments. All together there are 34 design engineers within the Group who are constantly dedicated to innovations and redevelopments. Q: Everyone knows the Kinshofer name. But what makes up the Kinshofer Group, how big is it now? TF: This is currently 7 company brands, owned and managed by Kinshofer. The global headquarters is centred at the Bavarian town Waakirchen-Marienstein. The Kinshofer Group includes 17 companies in Germany, Austria, Czech Republic, Great Britain, France, the Netherlands, Sweden, Italy, Canada, USA, China, New Zeeland and Australia – employing more than 730 staff. Besides the German speaking market, we also serve international markets – an area that grows with each acquisition. Q: The Kinshofer Group seems to be growing constantly. The latest acquistion was the Italian family-owned business Hammer. How does Hammer fit into Kinshofer Group? TF: When we acquire a company, we take great care to ensure that their products are not in conflict with products we already have. Acquiring the product ranges from Hammer means we are now able to play in the highest league concerning Hydraulic Breakers. We’ve effectively closed the last big gap in our product portfolio. 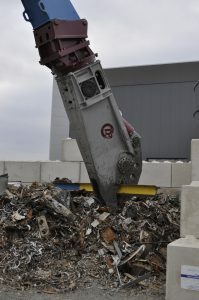 The other attachments Hammer offers, like the demolition processors and grabs, add product options to our portfolio that sit outside the premium class. They are perfect for customers who’s main task may not be demolition as such, and therefore need a more cost-effective option. Q: Fast growth brings risks as well as opportunities. How does Kinshofer integrate all the different company cultures into to the Group? TF: Nothing is more important than quality. That rule also counts for acquisitions. We do not acquire businesses that are new to the market. Only companies and products which are proven, with a track record of delivering a first-class product, are suitable for consideration. Out of these companies we only choose highly profitable ones. We also have very high expectations on the management of these companies. They have to be long standing, dedicated and differentiated through an impressive performance record. If these requirements are met, we do not change the company structure a great deal. An additional gain of any acquisition is the new distribution channels which open up, providing new opportunities to push other Kinshofer Group products. We sell products from newly acquired companies under their own brand name, as well as under the Kinshofer brand, providing a dual benefit. In general, you could say that an acquisition is not purely about growth but also about the way a new company complements the Group and our overall product offering.